Most people’s first thoughts about the Isle of Man will probably relate to motorbike racing, particularly the TT races. Or maybe its the ‘Three legs of Mann’ symbol, or perhaps its position as a tax haven within the British Isles. But from a walker’s perspective, this is a gem of a place. It has rolling hills, lofty sea cliffs, lonely beaches and glorious glens. There are sensational sunsets (if you’re lucky) and it is the only place in the British Isles from where you can view the seven kingdoms all at once (again, if you’re lucky). Throw in a steam railway, a mountain railway, electric and horse-drawn trams, and more heritage than you can shake a stick at, and there’s something to delight all but the pickiest of hikers. The island has a fantastic network of footpaths, bridleways and greenways. Waymarking is very good and most footpaths and bridleways are well maintained. In fact, where to start is the only real problem! The hilly centre is predominantly an area of public ramblage (similar to access land in England and Wales), where you can wander at will. But if, like most walkers, you like to get a few miles under your belt, there are four designated long-distance walks. So, let’s start with those. Bayr ny Skeddan – the Herring Road – is a 14-mile route between Castletown and Peel, roughly following the route once used by Manx fishermen. Initially following the Silverburn river, the route then heads across farmland into the remote Glen Rushen and Glen Mooar, before cliff-top trekking takes you to Peel. 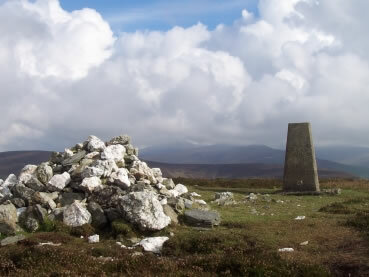 A varied landscape and a joy to walk – especially if you detour to take in South Barrule summit. The Steam Heritage Trail is a 12-mile countryside route from the outskirts of Douglas to Peel, which runs along the route of the old railway line. Flat and good walking, if (in my opinion) a little monotonous. The Millennium Way – Castletown to Ramsey – is officially 28 miles long but realistically it’s 30, as the official end point is a little shy of Ramsey. It’s quite ‘roady’ for the first half, but passes through lovely, lonely moorland later on. Raad ny Foillan – the Way of The Gull – is the daddy of them all. 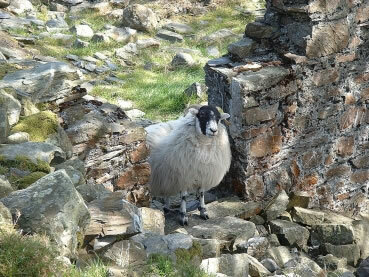 The 100-ish mile coastal walk around the entire island features the towering cliffs of the southwest between Port St Mary and Peel, the sandy shore from Kirk Michael to Jurby, and the shingle beaches of the northern shore. There are yet more sandy beaches between Point of Ayre and Ramsey, followed by the beautiful glens along the western coast. It’s an absolute delight. You could do it in a week, a fortnight or, as I did, spread it out over a number of years. 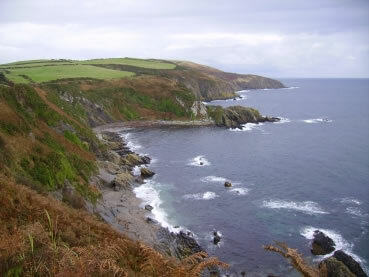 These hardly touch the surface, though; the variety of walking on the Isle of Man could fill a lifetime. It’s a fantastic place for a walking vacation, although like any trip in the British Isles, if you get the weather, it’s memorable; if you don’t, well… But make the effort and visit the island at least once; you won’t regret it! Public transport is good on the island. Buses serve most of the island on a regular basis. 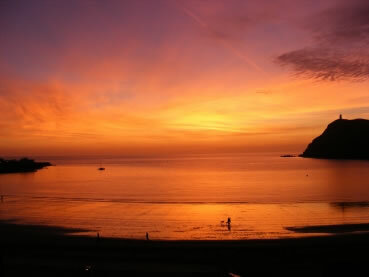 The west, between Port Erin and Peel, has a limited service and the far north is only accessible via the bus services provided out of the garage at Ramsey. 'Railway services all run from late March through to early November in 2015 (horse drawn trams to early September). Regular ferries depart from Heysham (near Morecambe) throughout the year, and from Liverpool during the summer months. Foot passenger fares for 2015 are approximately £43 return. The island can also be reached from a number of UK airports.